In a scientific first, researchers at the Gladstone Institutes turned skin cells from mice into stem cells by activating a specific gene in the cells using CRISPR technology. The innovative approach offers a potentially simpler technique to produce the valuable cell type and provides important insights into the cellular reprogramming process. "This is a new way to make induced pluripotent stem cells that is fundamentally different from how they've been created before," said author Sheng Ding, PhD, a senior investigator at Gladstone. "At the beginning of the study, we didn't think this would work, but we wanted to at least try to answer the question: can you reprogram a cell just by unlocking a specific location of the genome? And the answer is yes." Pluripotent stem cells can be turned into virtually any cell type in the body. As a result, they are a key therapeutic resource for currently incurable conditions, such as heart failure, Parkinson's disease, and blindness. They also provide excellent models to study diseases and important tools to test new drugs in human cells. In 2006, Gladstone Senior Investigator Shinya Yamanaka, MD, PhD, discovered he could make stem cells—dubbed induced pluripotent stem cells (iPSCs)—by treating ordinary skin cells with four key proteins. These proteins, called transcription factors, work by changing which genes are expressed in the cell, turning off genes associated with skin cells and turning on genes associated with stem cells. Building on this work, Ding and others previously created iPSCs not with transcription factors, but by adding a cocktail of chemicals to the cells. The latest study, published in Cell Stem Cell, offers a third way to turn skin cells into stem cells by directly manipulating the cells' genome using CRISPR gene regulation techniques. "Having different options to make iPSCs will be useful when scientists encounter challenges or difficulties with one approach," said Ding, who is also a professor of pharmaceutical chemistry at the University of California, San Francisco. "Our approach could lead to a simpler method of creating iPSCs or could be used to directly reprogram skin cells into other cell types, such as heart cells or brain cells." 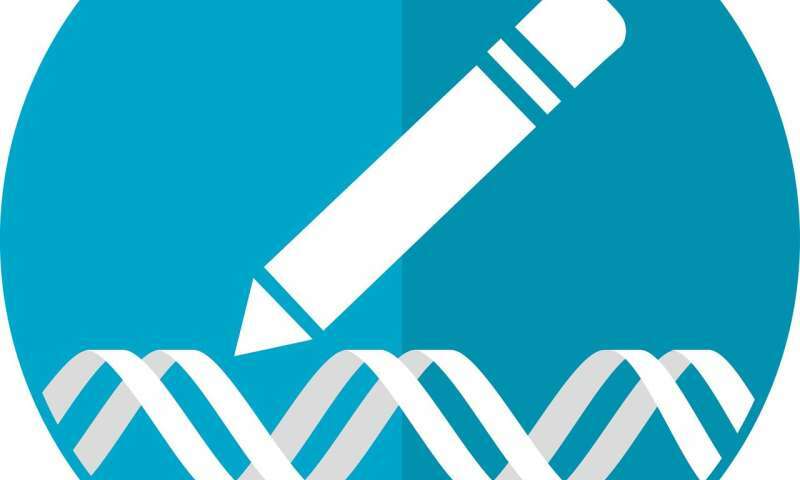 CRISPR is a powerful tool that can precisely manipulate the genome by targeting a unique sequence of DNA. That sequence of DNA is then either permanently deleted or replaced, or it is temporarily turned on or off. Ding's team targeted two genes that are only expressed in stem cells and known to be integral to pluripotency: Sox2 and Oct4. Like transcription factors, these genes turn on other stem cell genes and turn off those associated with different cell types. The researchers discovered that with CRISPR, they could activate either Sox2 or Oct4 to reprogram cells. In fact, they showed that targeting a single location on the genome was enough to trigger the natural chain reaction that led to reprogramming the cell into an iPSC. For comparison, four transcription factors are typically used to create iPSCs using the original method. What's more, one transcription factor typically targets thousands of genomic locations in the cell and changes gene expression at each location. "The fact that modulating one site is sufficient is very surprising," said Ding. "Now, we want to understand how this whole process spreads from a single location to the entire genome."